Superlite "Xtreme Duty" front sprockets are manufactured to be the lightest and most durable countershaft sprockets available today. Superlite front sprockets are made from case hardened chromoly steel to exact tolerances and the exclusive tooth profile offers a precise fitment over other brands. 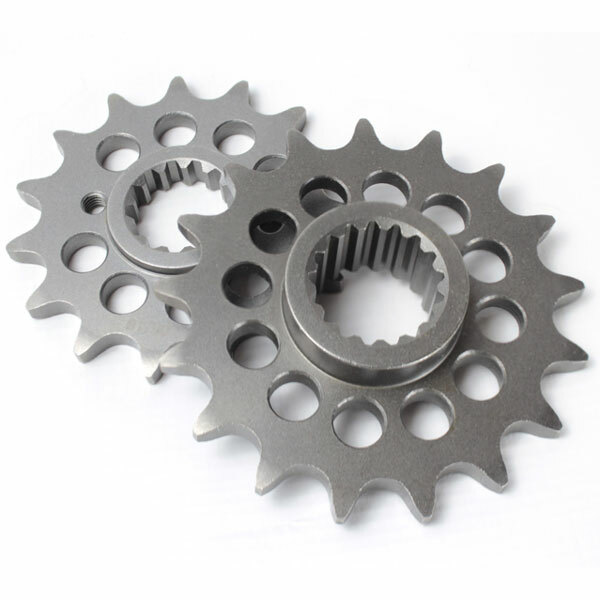 Most sprockets are drilled and lightened for less rotating weight while still offering massive strength for small to large displacement machines.